A week or two before Michael went into the hospital, I had received an advertisement of an upcoming songwriter weekend, to be led by one of my favorite songwriters, Jonatha Brooke. It was to be held in Nashville, and its closer proximity caught my attention! I had wanted to attend one of these for a while, but they are usually quite far, even as far as Italy. Mike decided then that this would be the year that we could swing the expense, and for my early Christmas present, he gave me this special gift — to attend this intimate songwriter event in March 2016. Minutes rapidly turned into months. March 2016. Grief was heavy, and we were in the thick of it with school and our moving details, but I kept my commitment to go. I arrived in Nashville to write songs through raw heartbreak and brokenness. I didn’t feel like I had much to offer. But I was there. And that, in itself, was success. The event was more than I’d hoped. Each day, the attendees were slotted with 45-minutes to one-hour time slots, in which we were to present original material to the whole group. In front of everyone, Jonatha and songwriter Eric Bazillian (writer of “What if God Was One of Us”) began the woodshed and critique process with each writer/presenter. I was not sure what I would share, as it had been some time since I had written anything new, and I felt like I needed something fresh and not-yet-recorded. I’ll create something with a waltz-like feel, because even if it’s total crap, EVERYTHING sounds better in 6/8 time! They are giving me a gift to critique a song, and in a song, I basically have 3 minutes to send a message. I should thank them for this 3 minutes, and leave everyone in the room with a message that I believe. So, this song became the set-up to talk about a man who I am so blessed to have been “loved for 100 years, in 20.” And even though Mike is a central character in my life and song, LOVE is securely fixed at the true center. So, I hope this song encapsulates the most valuable art of the giving of time. Because when a life seems to be “cut short,” all of the time we were given suddenly feels like it was just 3 little minutes. I am thankful to Jonatha Brooke and Eric Bazillian for lending me 3 little minutes to offer a song. I am thankful for Mike’s saturated time, given with the fullness of Love. I am thankful to God, that He would value me enough to have given me Mike’s 3 Little Minutes on this earth — a gift that I will never ever take lightly, but instead will use, to shape the time I offer to those around me. And finally, I ask that you will be brave enough with your 3 little minutes to Love, and to Love big. The Little things really ARE the Big things, after all. I hope you enjoy this simple song. Thank you for listening… for 3 little minutes. Thank you for lending me 3 little minutes! Ami, thank you for sharing the beautiful gift of your words and your voice. I listened with tears of sadness, loss and joy to your love for Mike and for our great God. That’s a great quote! Thanks for sharing. And yes, hold them all tight, and love them long in the short time we have to give it. Thank you for loving Mike and for being a part of our story. And thank you for lifting us up in prayer. Absolutely beautiful and a wonderful tribute to Mike. You have an incredible voice. Thank you fo sharing it and your wisdom on love and loving big. Thanks Kathleen! I appreciate it. Thank you for the response, and for listening, Kim! It is just so perfect ! Brave is an understatement for you friend. 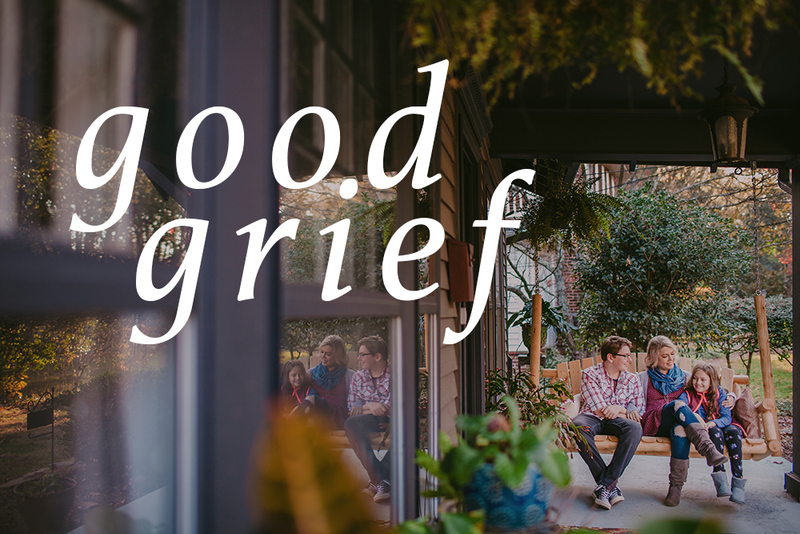 Can’t wait to hear more from your #goodgrief project . Ami….that was so beautiful! What an amazing way to honor the love you shared and Mike’s memory. You are so talented….a wonderful gift from God. Thank you Beth! I appreciate it! Although I have never met you or Michael or your children, I did know and love your Dad since we were kids. I am thankful to follow you as I heard your Dad in your voice and can only imagine how proud he is of you. You have a wonderful talent and am so happy you are able to share it with so many. Thank you, Mary. I appreciate you lifting us up in prayer. My Dad would be thanking you, too. Beautiful song and fantastic reminder to give the world love with our time. Love Mike’s message through your voices! Can’t wait to hear more!! Thank you for having the courage to share. My own similar loss is still too new and raw to imagine turning the grief into something good. But I love and appreciate your example in striving daily to *rise. * I love the idea that Mike gave you 100 years worth of love in just 20 yrs. I look forward to hearing new songs in the upcoming 11 days. May God bless you for your example. Ami, I know you don’t remember me but I met you and Mike a few years ago at a CC practicum. This is beautiful and I am so thankful that you are letting the Lord guide your steps and voice. Blessings to you during his time. Thank you, Allison! You’d be surprised who we remember. I rarely forget a face. Thank you for listening to our project. So beautiful, Ami!! Love it! I don’t think I have ever seen so much hope flow from the loss of a loved one to heaven. Your Good Grief is a wonderful encouragement. Beautiful encouragement, Megan! Thank you. I loved the song the very first time I heard it. But WOW! the story behind the song adds so much meaning to it. I love you and your Good Grief inspires me to hope for more and treasure each moment we have here on earth with our loved ones and to be aware of the purpose that God created each of us for. Thank you for sharing your heart so freely with us. Thank you Sherry for everything you have done to support and love us along the way through all of this! You’re amazing. Wow Ami — I don’t even know you, but you have already touched my life. Thank you for sharing. I look forward to your next three minutes. Awww, great comment. Thank you so much! Ami, you have an amazing amount of talent. The Love you have for people shines through in every work of art you produce. Thank you for sharing your Love Story with all of us. It shines the Love of Christ. Jane, that means a great deal! Thank you. Love to you and your family from us! Just beautiful, Ami! I “happened” to listen to this and read your story behind the song, on the 15th anniversary of my sweet Mama’s entrance into heaven. So perfect for this special day of remembrance. Love your passion for Jesus, life, souls, and music. Be blessed always! ? Oh, sweet blessings to you as you remember and honor your mother. I’m so glad you found this and hope the song and the project is a blessing. Thank you, Crystal. I love the Sound of Music reference in your last phrase! We need the sound… of songs. All of us. To rise above your grief in such a beautiful way surely makes Mike smile (well he was always smiling when I saw him) but you are keeping him alive in so many ways. I want the whole album when it is ready! Thank you Marsha! I imagine his smiles more brilliant and brighter than ever before! I love it my dear friend! Some of my most precious memories are those minutes that I spent with you and Mike over our years together in childrens’ ministry, at our Bible Studay and at Cre8! The time that you gave to Khaled and I made more of a Godly Impact than you will ever know. LOVE to you and Khaled!